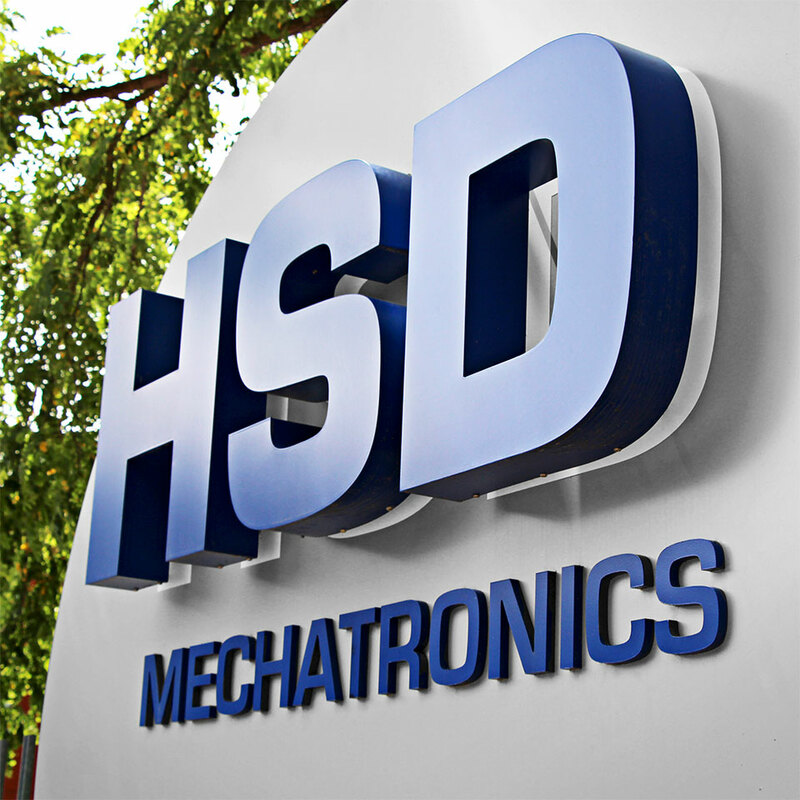 HSD is a major industrial company in the manufacturing of electro-spindles. 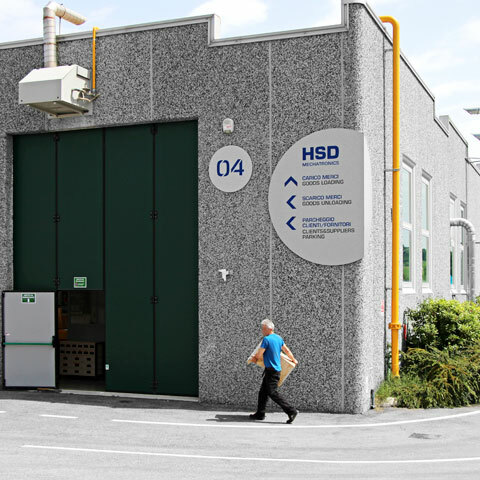 In 2015, in conjunction with HSD’s change of manufacturing site, we designed the identity of the new plant, taking care also of the internal and external signage. To organize space and graphics in a consistent way and convey at best the company values, we analysed the brand history and the sector where it operates. A chromatic palette and a well-defined line allowed the creation of consistent and strongly distinctive environments. To organize space and graphics in a consistent way and convey at best the company values​, we analysed the brand history and the sector where it operates. The choice to use the circle in the graphics is a clear reference to the movement of the electro-spindles. The blue and grey of the logo were chosen as the main colours for creating graphics and spaces to convey the brand identity at its best. A chromatic palette and a well-defined line allowed the creation of consistent and strongly distinctive environments. 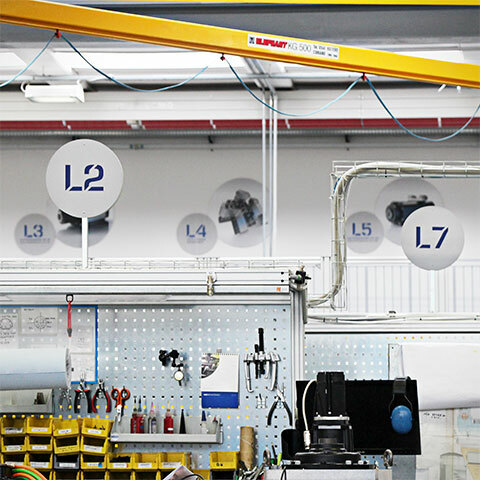 The route and a visit to the facility are facilitated by the numerous instruction plates located near and within the production area. We placed new illuminated quality signs on a factory tower to make it visible even from the A14 motorway. 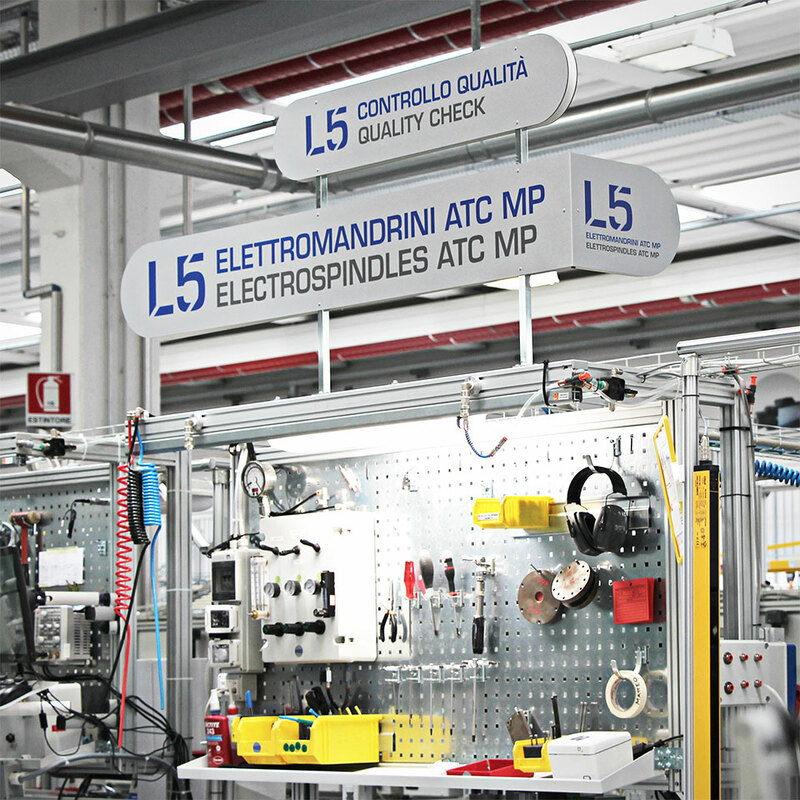 The route and a visit to the facility are facilitated by the numerous instruction plates located near and within the production area. Welcoming people and visually conveying the company activities: with these goals in mind we organized and fitted out the entrance hall. Welcoming people and visually conveying the company activities: with these goals in mind we organized and fitted out the entrance hall. 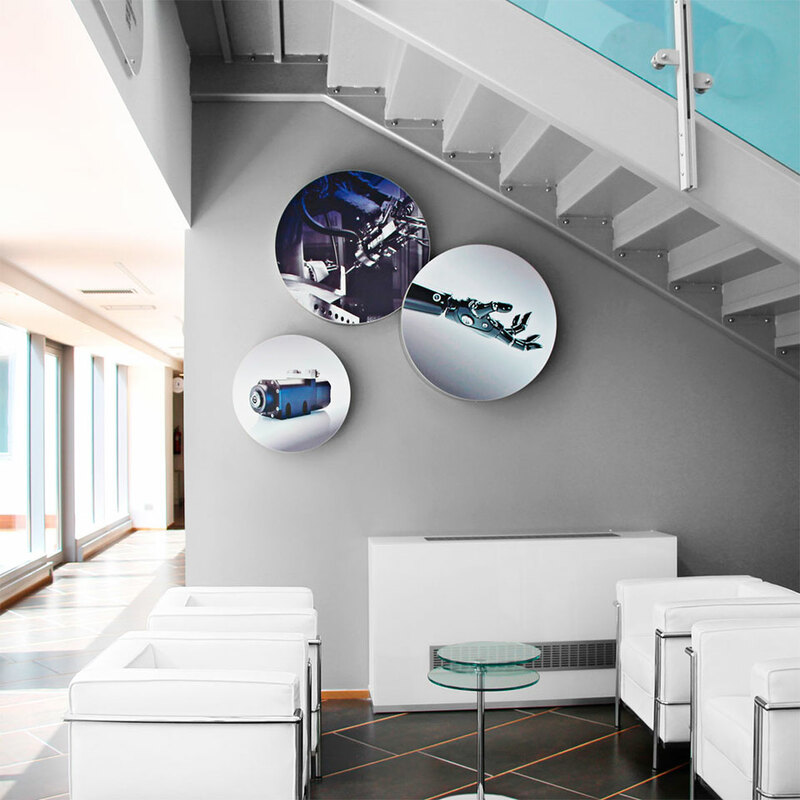 A functional and comfortable space with a reception area and an area to welcome visitors and show the company’s activities through corporate graphics rich in images with details of the technologies in use. 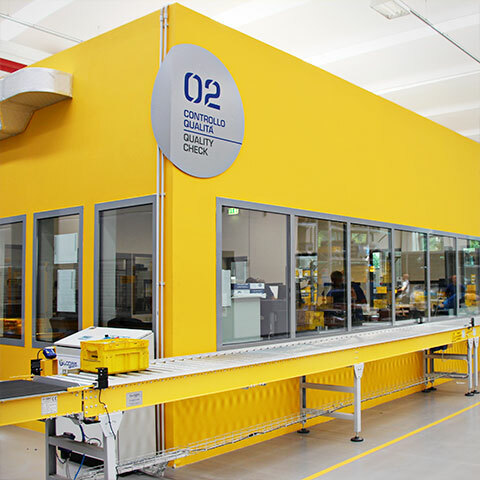 We facilitated the path within the HSD factory with a signage system designed to guide the visitor and optimize the path towards offices and production areas. 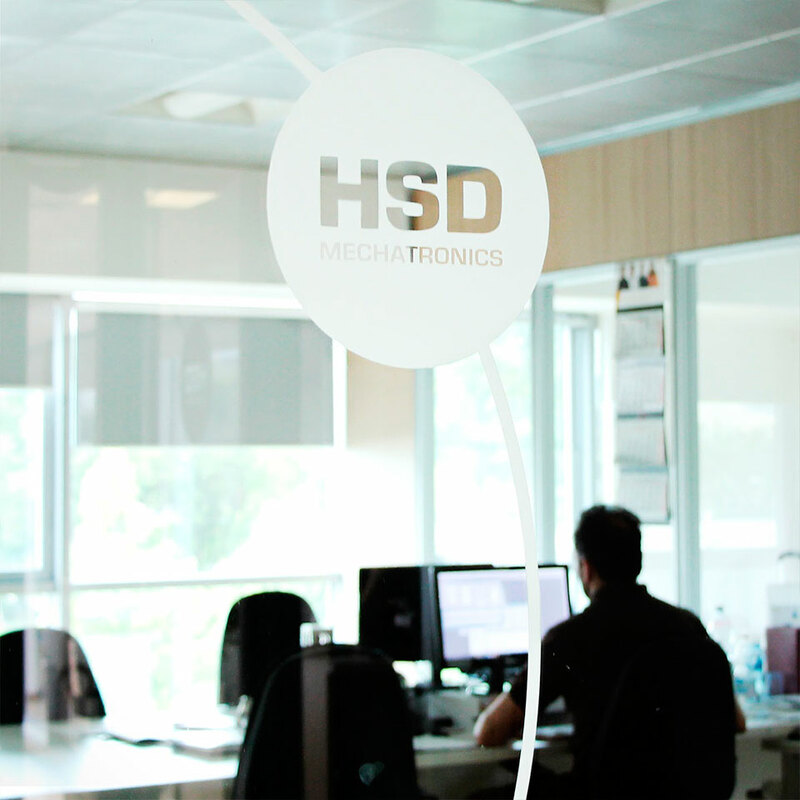 We facilitated the path within the HSD factory with a signage system designed to guide the visitor and optimize the path towards offices and production areas. Each office has a custom plate and instructions plates on how to reach the different departments are placed in the corridors. The production lines were rearranged to maximize operator’s comfort. 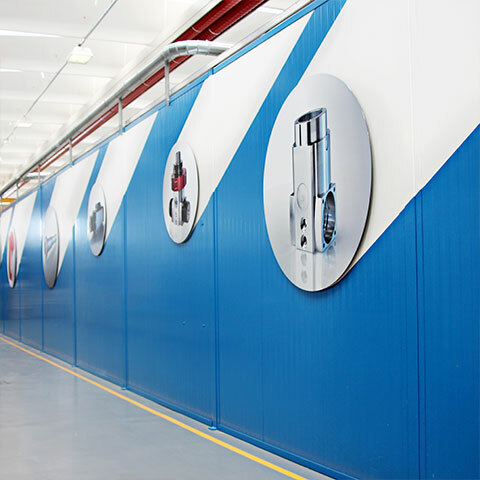 Our graphics for handling and setting up items, together with a careful study of the brightness of the spaces, increased the efficiency and comfort of the production plant. 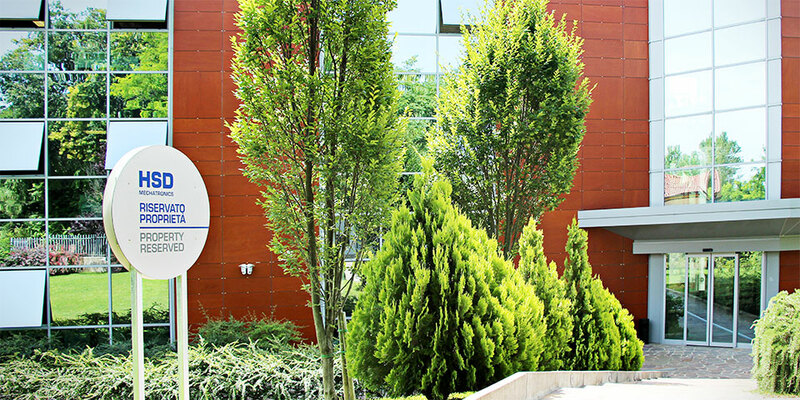 Are you looking for a communication agency to develop your project? Fill out the form and send us your request.